Most award-winning print ads rely on extreme Photoshopping, big-budget photography and meticulous art direction, but here's a wonderful exception to the rule. Istanbul agency Rafineri created the ad above for media conglomerate Dogus Publishing Group, which operates National Geographic Turkey. This week, the Epica Awards jury of international journalists (including myself) awarded the ad a gold in the media promotion category. In an admittedly slim year for high-quality print submissions, the jurors were charmed by the ad's simplicity and immediate effectiveness. In an industry where ads are lucky to earn a grudging smirk, this one genuinely makes you smile. 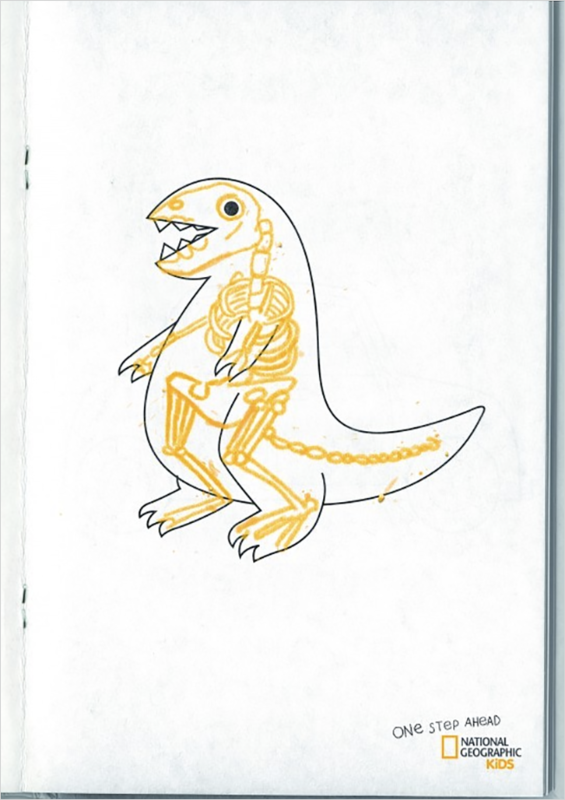 Title: "Nat Geo Kids / Dinosaur"